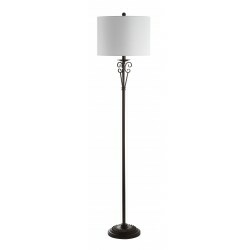 Select from a wide variety of floor lamps perfect for any room, mix and match any design. Free Shipping on all orders! Lighten up your living space with this lovely and elegant lamp.FREE Fast Shipping! 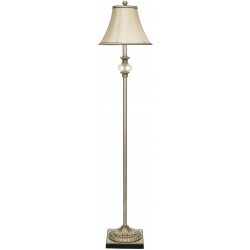 Inspired by fine antiques, this traditional floor lamp lends an aura of refinement to any living room or study. FREE Fast Shipping! 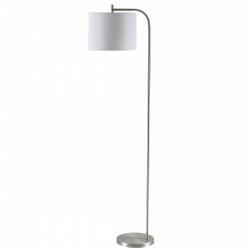 Adding minimalistic flair, this modern floor lamp is ideal for the gracious contemporary living room.FREE Fast Shipping! Brighten up your living space with a symbol of hospitality, the etched glass pineapple adorning this floor lamp is as pretty as it is welcoming.FREE Fast Shipping! 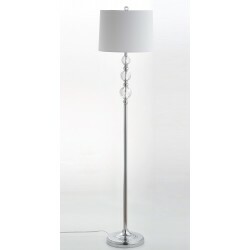 Lighten up your living space with this lovely and elegant lamp!FREE Fast Shipping! Simple details make the Venezia floor lamp a stand out and a black hour-glass shade add a subtle feminine appeal perfectly balanced with a shiny chrome candlestick base.FREE Fast Shipping! 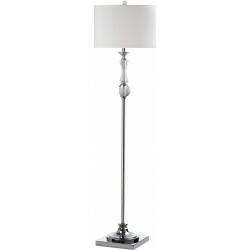 Casual yet dressy, classy yet contemporary, the Fairmont floor lamp bridges the gap. It has just the right touches of posh and polish.Free Fast Shipping! 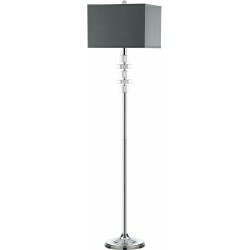 Decorate your home with this classic and chic design of Safavieh, the Naldo Floor Lamp in Dark Grey color. SoHo’s latest lounge inspired this industrial chic floor lamp. FREE Fast Shipping! 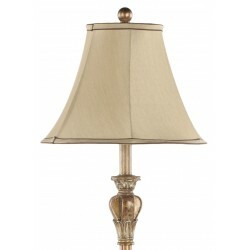 Topped with a classic bell shade in beige shantung-weave, this lamp is perfect for traditional rooms.FREE Fast Shipping! The refreshed classic details and simple lines of the Savannah floor lamp take staid from the equation.Free Fast Shipping! 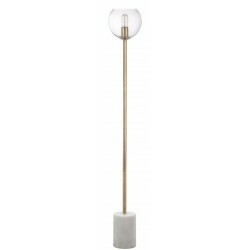 Illuminate your home with this simple, warm, inviting floor lamp in white and gold combination! Inspired by minimalist Scandinavian style, this contemporary floor lamp brings instant character to the living room. FREE Fast Shipping! 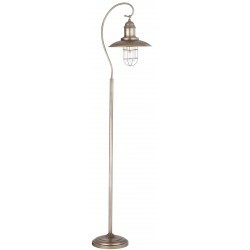 Lighten up your living space with this lovely and elegant lamp! FREE Fast Shipping! 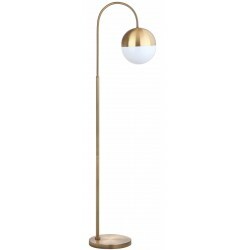 The Jonas Floor Lamp of Safavieh in Brass Gold and White color will complete your home by illuminating your surroundings beautifully and elegantly! Designed for the modern tastemaker, this playful floor lamp refreshes any living room. FREE Fast Shipping! Classic and complex are just two of the many ways to describe the Romelo Floor Lamp in Silver and Grey color combination of Safavieh. 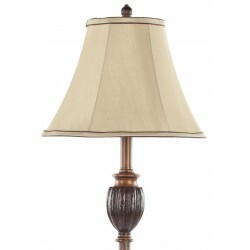 Its traditional hanging lamp brings character and adds a transitional element to any living room.FREE Fast Shipping! 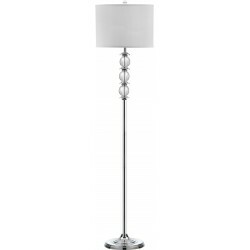 Accentuate your room decors without compromising the view by adding this minimalist style floor lamp of Safavieh. 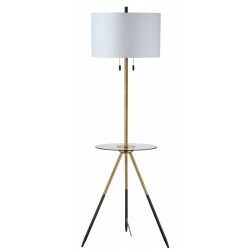 The Mave Floor Lamp in Gold and Black color will highlight your surroundings beautifully! FREE Fast Shipping! The humble candlestick floor lamp gets done up in the Lombard Street lamp that adds an unexpected contemporary twist to a familiar form.FREE Fast Shipping! A shiny chrome base and a off-white drum topper keep the look fresh and contemporary. FREE Fast Shipping! 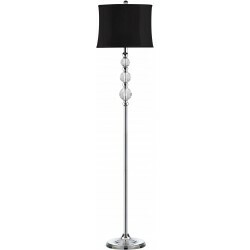 One thing is crystal clear with the Times Square floor lamp is punctuated by geometric crystal shapes.FREE Fast Shipping! Transform your home by adding the Safavieh Landen Leaf Floor Lamp in Antique Gold and Off-White color combination. 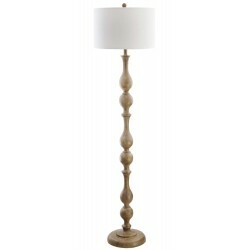 Charming and sophisticated, elevate any living room with a touch of natural beauty with this leaf floor lamp. FREE Fast Shipping! 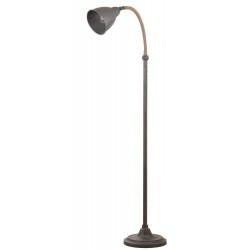 Finely crafted with gentle curves, this light brown wood floor lamp compliments any transitional decor.FREE Fast Shipping! The vintage style of Morrison Floor Lamp Side Table of Safavieh in Brass Gold, Black and Off-White color combination add a certain nostalgic charm and character to interior decorations. Designers love its two retro hanging side pulls.FREE Fast Shipping!